His life. An American artist born in 1926. He went from Chicago to Paris in the Fifties when Picasso, Braque, Chagall, not to mention Sartre and Camus and Simone de Beauvoir, walked in and out through clouds of smoke: Paris as it happened to be in the fifties. 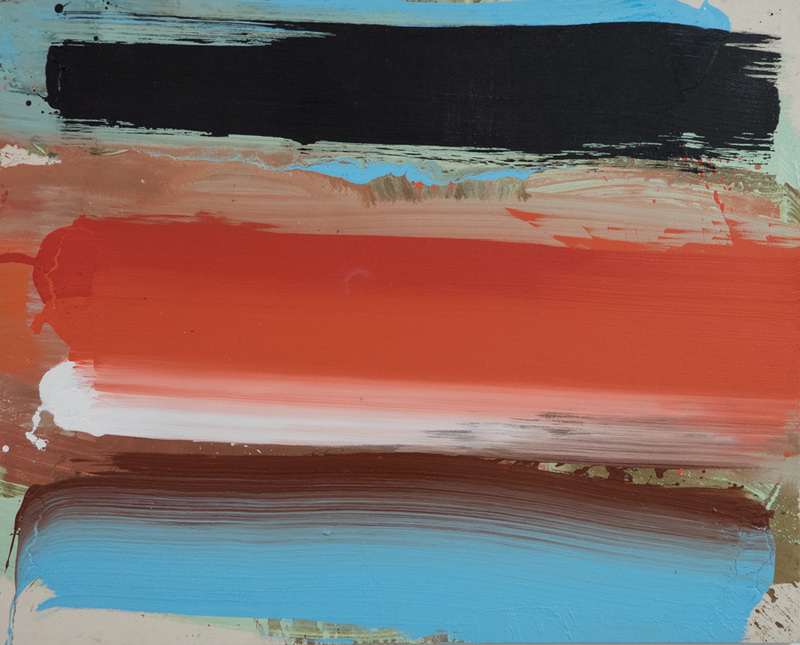 Nevertheless, the artist to whom Clark felt closest to was Nicolas de Stael. 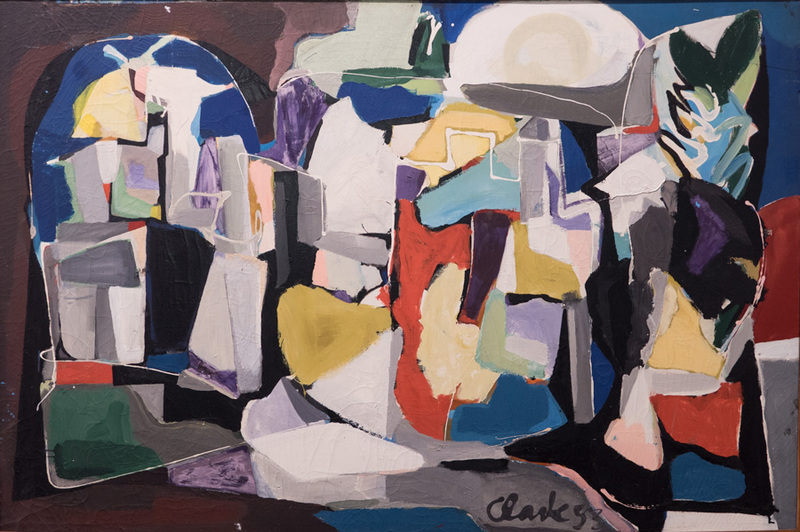 Maybe Ed Clark recognized in his landscapes the desperate passion of someone who tried to keep his visions separate from war’s tragedies and the immediate after war poverty and lack of fortune, but who also gave up and jumped onto the void in 1955. Clark tried to paint in the style of his friend. Probably his way to put himself in another artist’s mind, an extreme act of sympathy: The City, 1953. It’s a dark painting. Maybe Ed Clark gave to the city blocks a New York light, or it was his friend’s sadness. The very young African American painter fell in love with Paris. I can see him converting “the very pulses of the air into revelations” (Henry James), finding a broom and sweeping his feelings over the canvas -the canvas is on the floor. He added freedom and energy to the impulses coming to him from an old, wounded world. EDWARD CLARK, The City, 1953, oil on canvas. Private collection. PARIS IN THE 50s FROM ALBERT CAMUS’ NOTEBOOKS (1951-59), with bugs interpolated. Man of 1950: he fornicated and read the newspapers. Did he, an American in Paris? Never attack anybody, especially not in writing. The time of criticism and polemics is over – Creation. From now on, the single and constant affirmation. Understand them all. Love and admire but few. The public no longer accepts intelligence except within idiotic commentaries. The more I look at Ed Clark’s most recent paintings, the less I want to put words on them. They exude physical strength and joy of discovery: meanings fly around them almost embracing the canvas, and yet they don’t dare to interrupt with shadows the paintings’ inner life. Directions, stories, sounds, pierce his mind before they fall on the canvas: and every time it’s a new conversation between colors and forms. Because the natural disorder becomes human, captured by an impulse of love, love for the living present, in front of the newness of a painted landscape borrowing natural colors and lights, but escaping time. Clark’s voice: “Wherever he is, an artist, you know, has to do what he believes it’s right.” As if the action of painting had told him what to do: don’t reproduce anything you have seen. “It’s not so much art as it is … life.” Life’s physical threads, movements, changes, adaptations, dimensions, the power of center as well as the softness of marginal strokes. The beauty of a sense of balance. 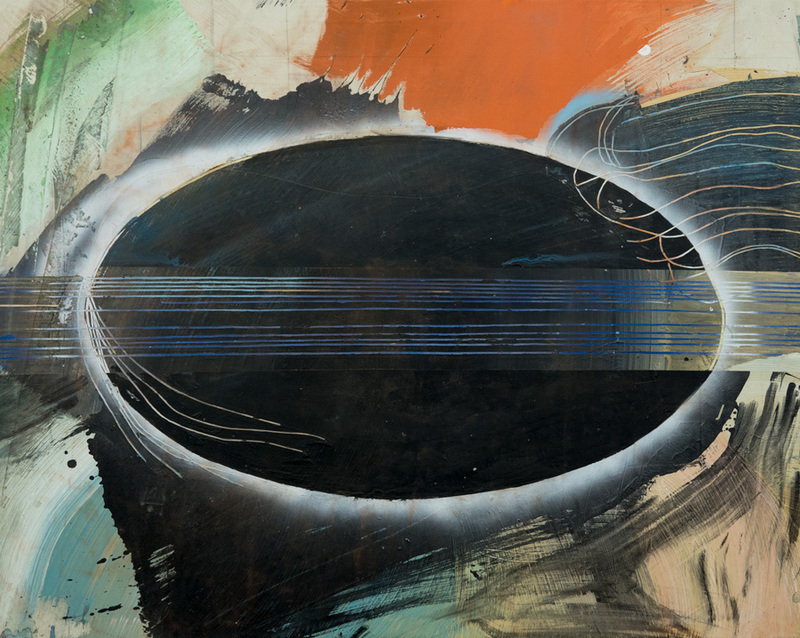 Clark’s paintings are islands of visual music, linked to the heartbeats. Abstractions? I’d like better not to say so. First word everybody mumbles in front of these paintings, as if the viewers had eyes in their mouth. I’m paraphrasing John Cage. His 1967 attack of impatience: “As they listen to music they start talking. Do they have ears in their mouth? Are they stupid?” True, there is no such thing as silence. Can they just listen? Can we just look, look and wait until the painting awakes in each of our cells, matter talking to matter, and then we’ll see?